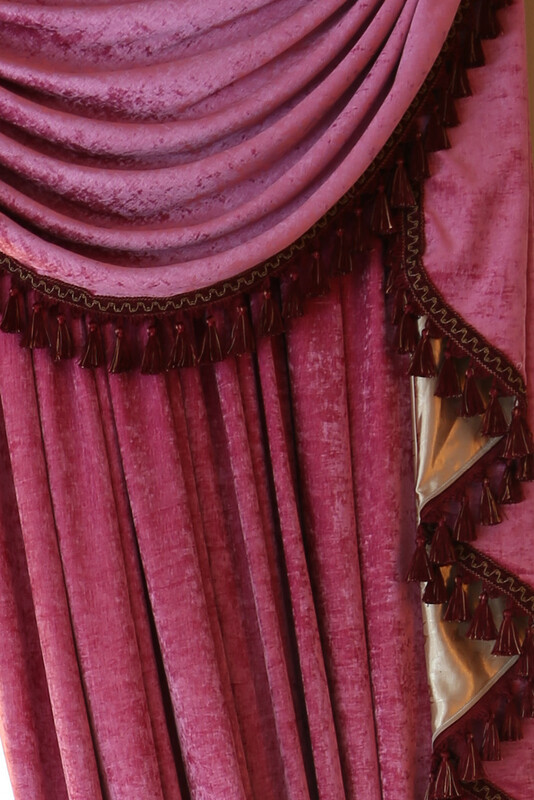 Luxury pink chenille flip pole swag valance is flexible in adjusting width to fit the windows. 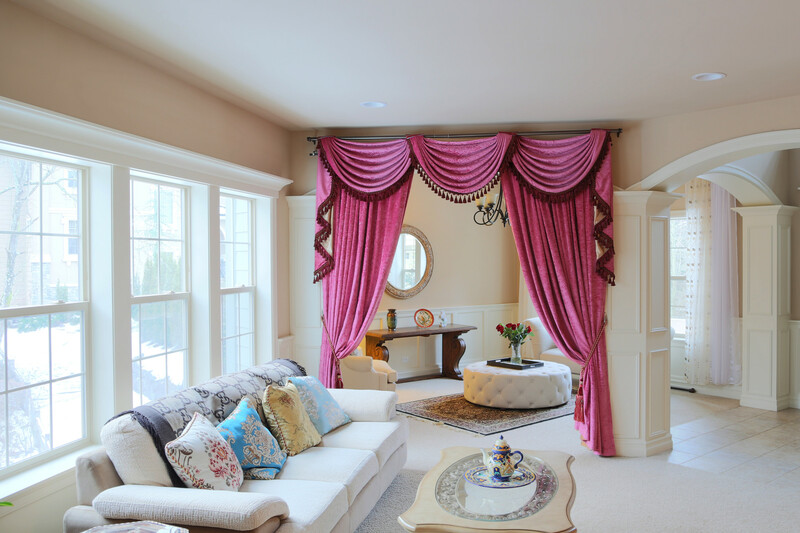 The curtain set combines frivolous extravagance and modern simplicity. 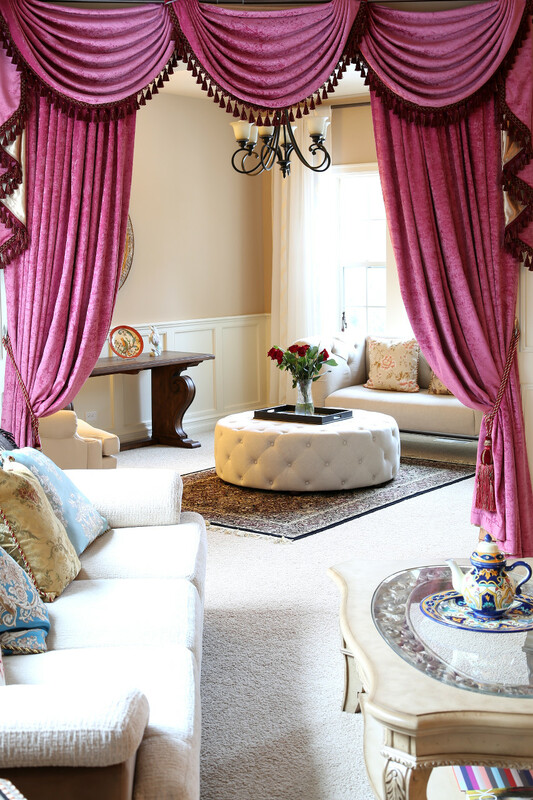 A great fit for wide windows or bay windows, the curtain set combines frivolous extravagance and modern simplicity. Just use any regular curtain rod.